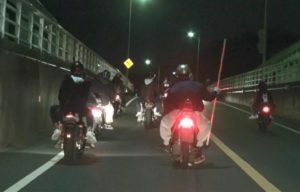 CHIBA (TR) – Chiba Prefectural Police have arrested a 53-year-old man for allegedly cutting off pieces of a railroad crossing, a crime he says he committed to get to work, reports Fuji News Network (Apr. 15). 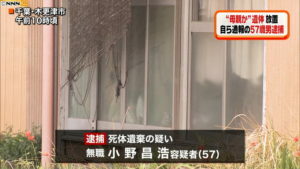 Between about 7:00 a.m. and 7:30 a.m. on April 13, Katsunori Nakano, an employee in the sheet metal industry, allegedly used a saw to cut two poles from the gate for the Keisei Main Line in Funabashi City. Nakano, who has been accused of causing property damage, admits to the allegations. 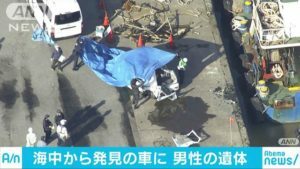 “My car was stopped due to a delay, and I got angry since I had to get to work,” the suspect was quoted by the Funabashi Police Station. In video footage, a man believed to be Nakano, a resident of Ichikawa City, is shown dropping the poles at the side of the tracks after using the saw. After the man disappears from the frame, a small van drives across the crossing.